It's almost Halloween! Man, that went by super fast! This year, my tutorials were a lot more about Prosethics and FX. I think i'll incorporate more cute ones next year lol. 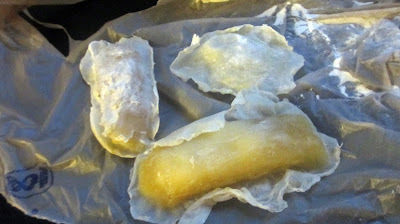 In the meanwhile, I thought it may be interesting to share some pics of how I made some of my home made prosthetics. Check it out! I learned about this technique from Petrilude on YouTube a few years ago. All you need is some clay, liquid latex, and a loose powder to prevent the latex for sticking to itself when you remove it from the mold(I used baby powder). I purchased the clay from Frends Beauty Supply, the liquid latex is from Graftobian and the baby powder is from the grocery store lol. Essentially you're creating your own mold out of clay. 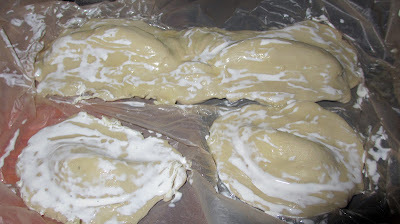 I used my fingers and a fork and spoon to help create the shape I wanted. From there, you paint on a few layers of liquid latex to create the prosthetic. I did a few coats over several days letting it dry in between. Make sure to put something under this project to prevent making a mess - I used a Kroger shopping bag, lol. 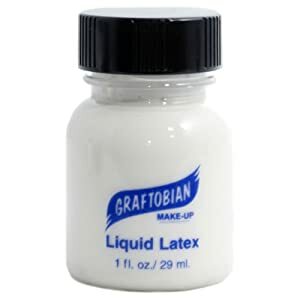 Once it's dry, you simply peel the liquid latex off the clay - applying powder along the way so it doesn't stick to itself. I was actually making some cheek and brow bone prosethics for a Michael Zombie Thriller look. 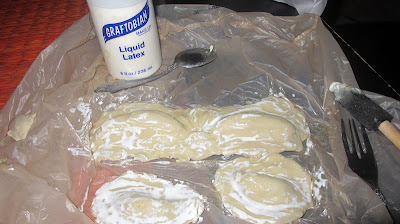 After you're done, just attach it to the skin with spirit gum and seal it off with another layer of liquid latex. It's a cheap and affordable way to custom make your own prosthetics. Hope this helps for future Halloween tutorials! wow thank you for the useful tips!